Summer is coming and we already know it is going to be hot! Southern states such as Georgia, Texas, and Florida will take the brunt of the heat wave that is quickly approaching. How can a homeowner lower their AC bill? Studies have found that 27% of the electrical usage in Florida alone is going toward air conditioning! This quick guide will provide a primer on how to make sure your system is working as efficiently as possible. Do you currently have an asphalt shingle roof? A metal roof might be the right solution for a high electricity bill. Asphalt roof materials have low reflectivity and low emissivity. All of the heat that is absorbed by your asphalt shingles is then transferred to your home because the roof is directly attached to your house. This forces your air conditioner to work overtime! A metal roof, on the other hand, has a high reflectivity as well as high emissivity. Some homeowners have seen savings on their energy bill going all the way up to 40 percent. Cost savings can be further improved with a reflective coating, such as a granular finish, that will boost the ability for the roof to reflect back the sun’s rays instead of absorbing them. Keeping the heat out of the attic and upper stories of the home can also help a great deal to lower the air conditioning bill. If the homeowner can allow air to circulate freely between the roof and the rest of the home, drastic savings in electricity can be had. A good ventilation system will provide an escape for the hot air that is rising upward and then lets in the cooler air near the bottom of the home. This cycle is known as the convection cycle. Homeowners that have their ventilation redone have noted dramatic changes in how they feel in their own home. 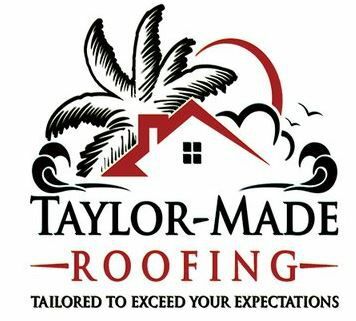 Feel free to give Taylor Made Roofing a call if you are interested in either the installation of a metal roof or an improvement to your ventilation system. Their number is 904-849-7758 or you can visit them at www.taylormaderoofing.com. Their friendly staff is ready to help you start saving money on your bill today. With new technology coming out all the time, you may have missed out on the new smart thermostats that can help you with energy costs. This technology is so advanced, the thermostat can actually learn your patterns and then adjust to save you the most money. Smart thermostats also have the advantage of being programmable. Most people do not work out of the house, so why would you cool your house for the whole day? Let your thermostat modify the temperature depending on when you will actually feel it. The extra cost of the smart thermostat will quickly be made up by the savings that you see on your energy bill. By following these three steps, homeowners will be able to save the environment and put more money back in their pockets. Stay cool this summer!